On July 26, 2016, the South Korean government blocked the entry of two Korean American peace activists – Juyeon Rhee and Hyun Lee – into its country. The two are representatives of the U.S.-based Solidarity Committee for Democracy and Peace in Korea. They had traveled to South Korea to participate in the annual Jeju Peace March as well as join protests against the recent U.S.-South Korean decision to deploy the controversial Terminal High Altitude Area Defense (THAAD) missile defense system in South Korea. The two activists had traveled to South Korea numerous times in the past with no problems. 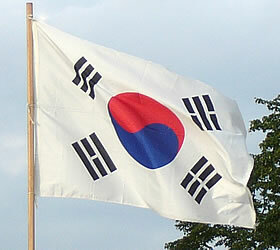 They have never broken any laws in South Korea and had never been denied entry nor deported in the past. The rushed decision by the South Korean and U.S. governments to deploy the THAAD system in South Korea was undemocratic with no input from South Korean citizens. The burden of producing and operating the THAAD system will ultimately be borne by U.S. and South Korean taxpayers. The cost of the system is estimated at $1.3 billion, and the average annual operating and sustainment costs amount to $200 million. Many fear that long-term exposure to high frequency electromagnetic waves emitted by the THAAD radar and noise caused by its engines may be detrimental to the health of the Seongju residents who live near the designated site. The THAAD system has been deemed ineffective in the defense of South Korea. Its deployment is a provocative move against North Korea, China and Russia and will redraw Cold War lines as well as escalate tensions in a region that is already heavily militarized with weapons of mass destruction. The South Korean government’s action of refusing entry to peace activists shows just how much it has devolved into a police state under the Park Geun-hye administration and that it deems international solidarity a threat to its policy of military confrontation. Indeed, only the strength of international solidarity between citizens of the United States and South Korea can stop the two governments’ provocative action towards increased militarization. The Solidarity Committee for Democracy and Peace in Korea is resolved to redouble its efforts of solidarity with the people of South Korea fighting for democracy and peace and call on all those who stand on the side of justice to join the opposition against the dangerous U.S. move to deploy the THAAD missile defense system in South Korea.